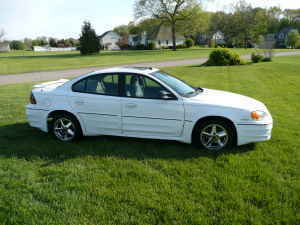 I have a 2004 Grand Am GT for sale. I bought it as a "theft recovery" - somebody stole the wheels, catalytic converter, and speakers out of it. Because of this, it was titled "salvage", but I have repaired it and it has been reinspected and titled "rebuilt." If you look up the VIN, you will find to accidents with "minor to moderate" damage. These were before I owned it, so I have no idea what happened, except that one was frontal and one was on the side. To drive the car you would have no idea any of this happened. It's a great car and selling for cheap because of the rebuilt title. I am located in Kalamazoo, MI. Last edited by Comp3820; 10-07-2008 at 10:23 AM. Like a weird posting from a 1 post count person. and I tried their phone number to see if it came up at a business or something, and the first result was the couple's first/last names + address. Sorry, I just entered the price, and yes, I did just join this site, mostly to sell my car. I was hoping somebody here might be interested. As far as the phone number, it is correct, so I don't know what the issue is, and no, I am not a dealer, but I did buy the car with the purpose of selling it. Darn not cheap enough for me to buy it. Lol if the price is right. He said itd be cheap but it really isnt for a car that has a rebuilt title. And I know how to work on these cars and already have tons of parts for one. 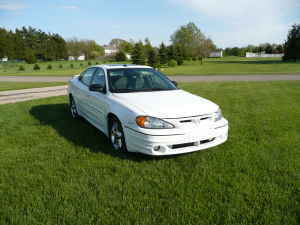 And I want a reliable DD, I cant buy a beater cuz everytime I do I get mad when I roll up on a hot girl and Im not in my Grand Am or something nice.